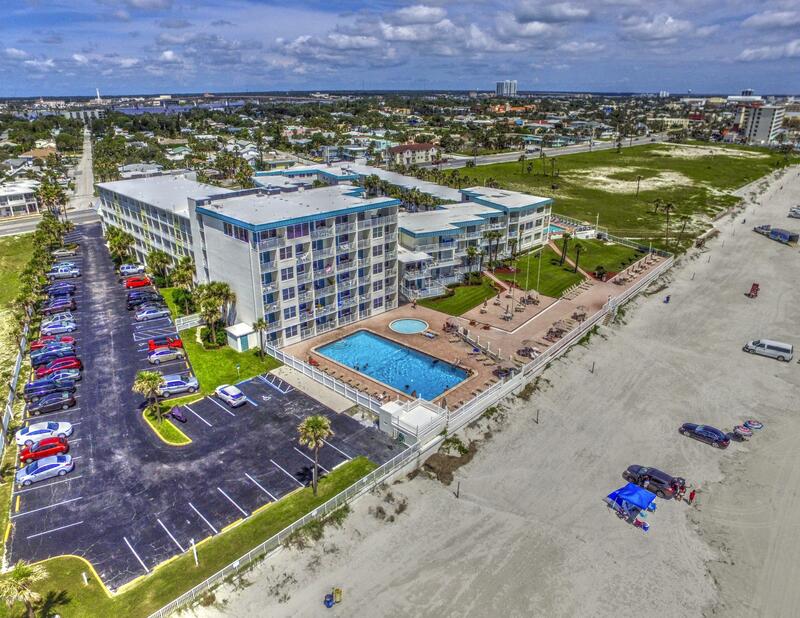 In the heart of Daytona Beach, the ''World's Most Famous Beach''. 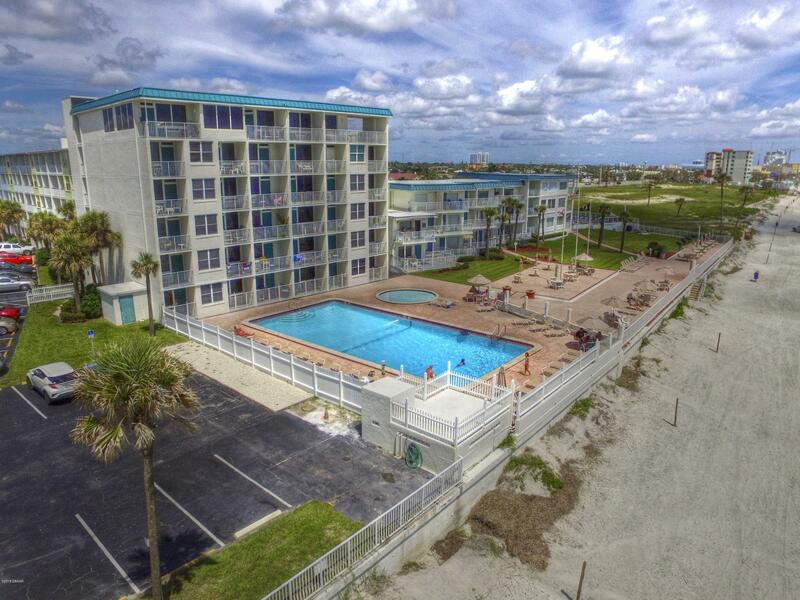 TRUE 1 bedroom unit with 2 baths! 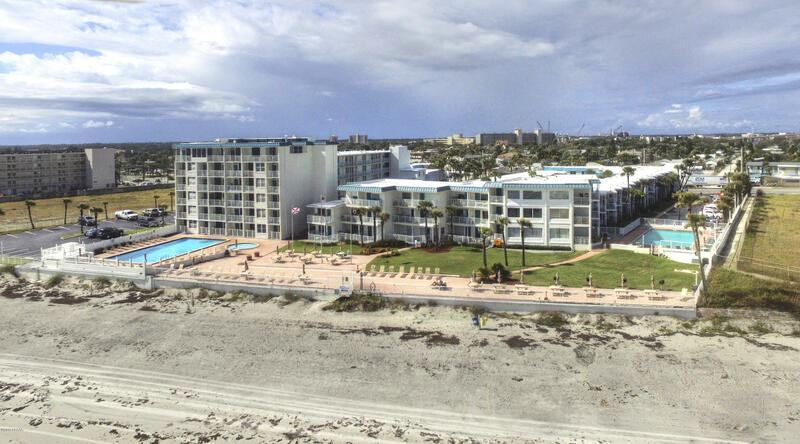 Oceanfront complex features 2 Pools, 1 is heated year round. BBQ area on large deck. RESTAURANT ON PREMISES ~ with Poolside services!! 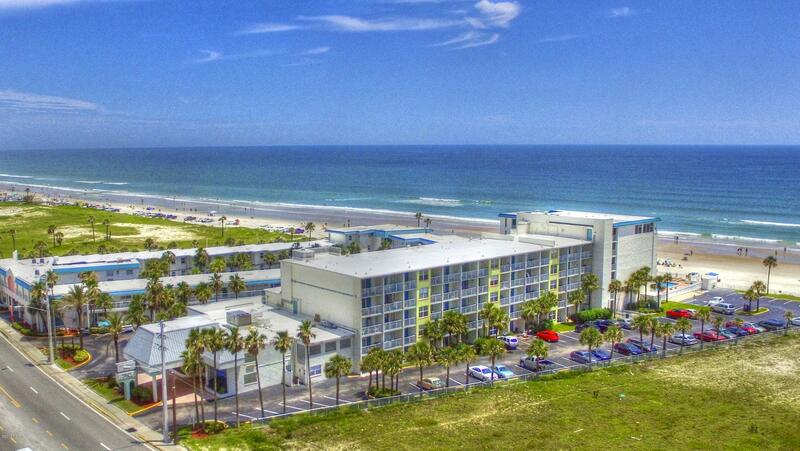 Walk to the new Oceanfront Restaurants. The Boardwalk, Main St., and Bandshell are close by. 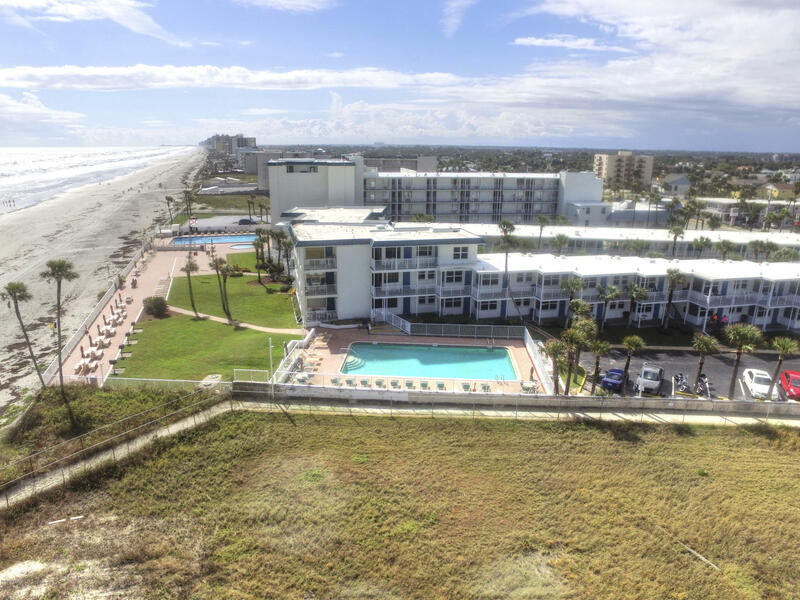 Ground level unit just steps to the pool & beach. Parking close to the unit as well. Rent it yourself or use the rental services there when you're not using the unit. Can live here 365 days a year & can be Homesteaded. Based on information from the DABMLS from 2019-03-26 08:19:20. DABMLS and their affiliates provide the MLS and all content therein "AS IS" and without any warranty, express or implied. Data maintained by the DABMLS may not reflect all real estate activity in the market.